My name is Tim Hedman. I am born and raised in a village outside Gävle that´s called Forsbacka. I still live there and work daily as a CNC operator. My interest in cycling started in 2005, me and my friends started to do dirt jumping after school. One of my buddies got a downhill bike and after trying it once I was hooked. I started racing downhill in 2007 and have been every year since then and I´m still enjoying it as it was the first year of racing. When i was 16 years old I went to a downhill biking Gymnasium in Vansbro for three years and that really gave me a good direction for me to follow for the years to come. After finishing my studies I moved home again and have been riding for as much as I can. 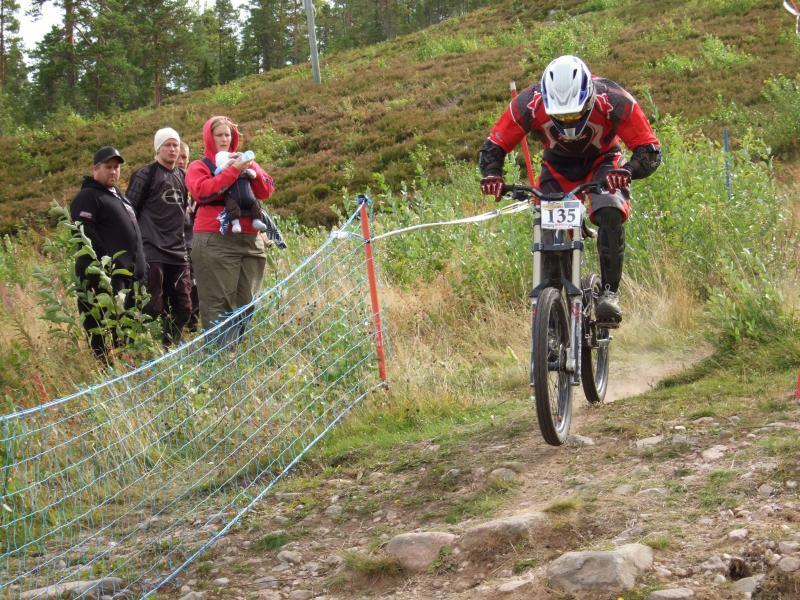 2nd in the total of the Scandinavian DH Cup where I missed 2/5 competitions due to European cups.